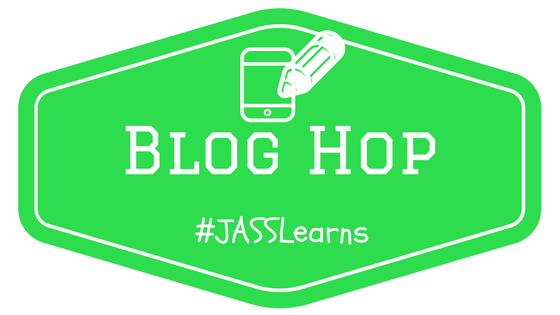 "Here's the very FIRST installment of our #JASSLearns Blog Hop. We have had many conversations about Innovation this year, and therefore feel it would be beneficial to share our thoughts on what it means for each of us in our classrooms. Also, be sure to take a look at the blogs posted at the bottom, and hop from one to another to see some other views." I'm captivated by the practices of others. I love learning about what others are doing in their classroom to energize, empower, captivate, and connect with their students. New tools, strategies, learning environments, and the rest, push my thinking forward, and in turn my students. Much of what captivates me is when I see something new for the first time or something that I've seen before but done in a new way. This innovation drives my thinking and forces me to question what I'm doing in my own practice. It also forces me to consider that age-old question "What is innovation?" Innovation to me is the mindset of making someone's world a better place. It's building on existing products, ideas, or processes to improve the life of others, even just a little. It's often discussed as a process, a new technological product, or a new discovery. However, I feel this is bigger than it needs to be; when you boil it down it's just the thinking around making someone's world a better place. When it comes to the classroom, it's about the learning. What are we doing to push our students forward, to try something new, and for them to explore the world around them. From the learners' perspective, it's something they haven't experienced before that allows them to pursue deep learning in a more effective way. From an educator's perspective, it's the practices we employ that we haven't attempted before in hopes that we may create a better learning environment & results. It's nothing overly complicated, it's just making the learning new & better. This innovation is what keeps learning moving forward, and for many, like myself, to always feel like they're learners, just like their students. So why not jump over to some other blogs to see what others have to say!